High End Spirits Can Make Your Holiday Season Memorable. The pleasure of high-end spirits has been making a huge comeback in the United States and in Asia. Partaking in these gifts from generations of distillers is considered a lifestyle to many as they travel the world in search of these treasures. 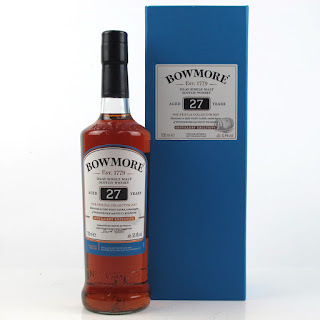 The BOWMORE 1965 ISLAY SINGLE MALT SCOTCH WHISKY is certainly one of those rare finds and for those who have the money it’s well worth collecting it. The 1965 is the latest expression in the Vaults Series, a collection of the rarest whiskies from Bowmore’s No. 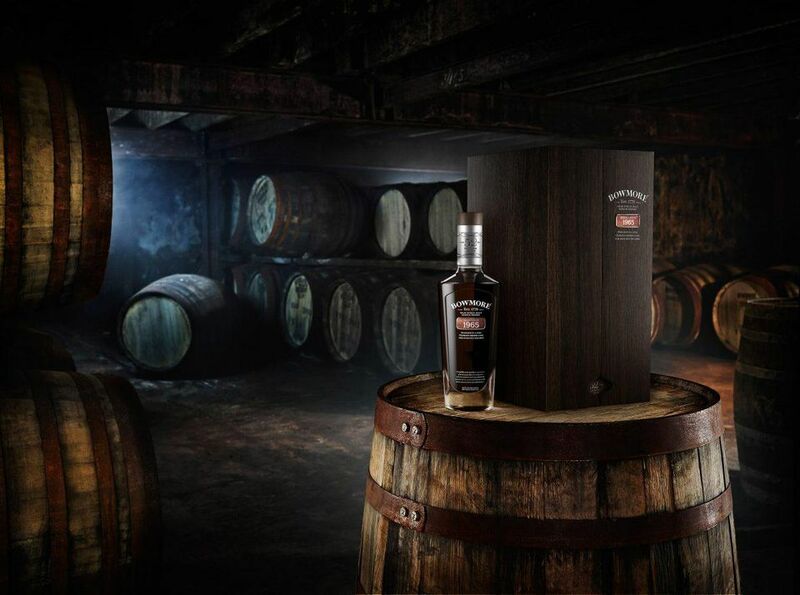 1 Vaults, one of the world’s oldest Scotch maturation houses. The liquid was one of the first to pass through Bowmore’s then-new steam heated stills in 1965, benefitting from smoother heating and greater control, enabling the distillery to craft a spirit that was perfectly primed to mature over many decades. It is extremely limited with only 232 bottles of this extremely rare Scotch have been produced for the world; available as of December 2018. THE TYRCONNELL 15 YEAR OLD MADEIRA CASK FINISH is the oldest Madeira cask finish ever released by The Tyrconnell, this rare and unique Irish whiskey has been matured for 15 years in American White Oak ex-bourbon barrels and then finished in Madeira wine casks. 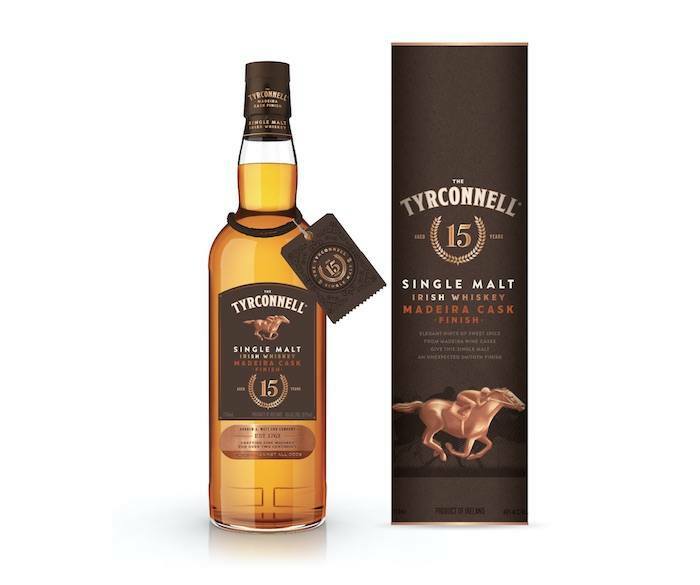 The result is a one-of-a-kind Irish whiskey with an unsurpassed richness and complexity and an incredible evergreen forest finish. With a limited availability at SRP: $100 is a great buy. 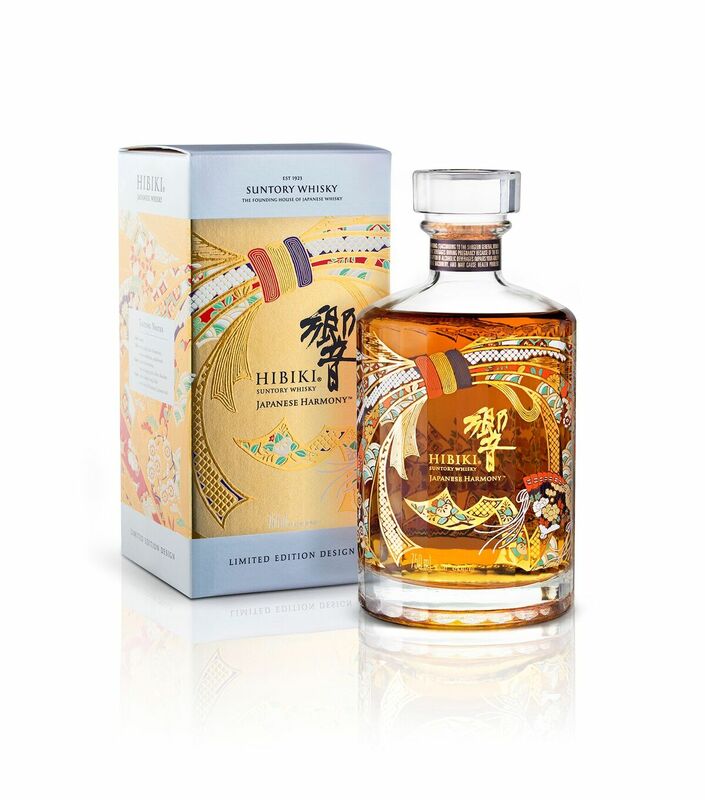 HIBIKI JAPANESE HARMONY ANNIVERSARY GIFT PACK is perfect for the holiday season. 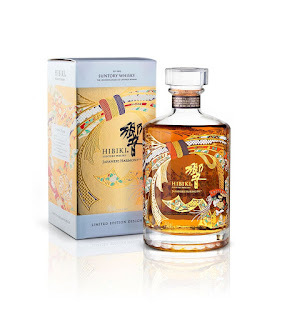 The House of Suntory has released a limited-edition, specially-designed bottle of Hibiki Japanese Harmony just in time for the 2018 holiday gifting season. Scotch 80 Prime builds a new foundation for the next generation of diners at the revitalized Palms Hotel and Casino. 16 Years the Palms N9NE steak house was the hipster place to dine on oversized Tomahawks and boozy cocktails alongside Hollywood A-listers and moneyed moguls. Now that iconic space is home to Scotch 80 Prime still under the direction of chef Barry S. Dakake along with executive sous chef Marc Purdy formerly of Alize. The newly appointed steak house gives nod to the historic Scotch 80’s, a community that strives to preserve a cherished neighborhood in the city of Las Vegas. Unlike the preservation quest of the Scotch 80’s community, Scotch 80 Prime may be the next leader in the new image, concept and feel of a Vegas Steak House. Scotch 80 Prime carries a fresh, upbeat dining outlook, one that emits playfulness, innovation with provocative drinks, décor and dining style. With StationCasinos multimillion dollar renovation of the Palms hotel there is a lot at stake in creating an alluring venue for the new wave of millennial diners along with loyal locals and trendy tourists. Scotch 80 Prime is a thoughtfully designed space with a culinary program that enlivens and entertains all the senses. Walking into the entrance way, holographic flowers appear to float along the long corridor leading forward into a spacious lounge area abutted by windows and a small outdoor patio with plenty of causal seating. The stunning back-lit bar carries an extensive whiskey collection, a well-appointed wine-list and creative cocktails. Geometric patterned marble flooring , lots of glass and mirrors accented with three dimensional pentagonal lighting fixtures allows a continual flow of light, air and pattern into this once austere dining space. Controversial, modern and contemporary art pieces by Jean Michel Basquait, Damien Hirst, Andy Warhol, and Bronx graffiti artist, John “Crash Mato’s have been carefully curated to spark the imagination while one is busy pleasing the palate. Comfortable neutral colored leatherette banquettes and open seating plays well in this upscale casual atmosphere. The soothing yet subtlety edgy atmosphere is the setting for meal sharing and great conversation. Begin with Chef Dakake’s creative take on the seafood tower. The traditional icy layered presentation is now mesquite fired with warm hearty portions of Alaskan King crab, Maine lobster, sea scallops, white Mexican shrimp, Spanish octopus and little neck Clams. The Bacon Best starter of sweet, salty savory bites of Nueske’s bacon lathered in a chocolate root beer glaze and spicy pecan brittle could be enjoyed before or after a meal. For those wanting to indulge in fresh vibrant greens, The Spazz salad consisting of local Urban Seeds seasonal lettuce varieties intermingle with bay blue cheese crumbles and sweet and spicy sherry vinaigrette is available along with tantalizing meaty menu items. Discriminating diners can find their selection in three categories: Prime, Prime Dry Aged and Pasture Raised. From a Classic New York Strip or a savory sliced Porterhouse offered alongside a Creekside Farms Tomahawk Ribeye or the indulgent A5 Japanese Kobe, there is a something for every meat lover at the table. The menu “Add-On’s” bestows an alchemic touch to the plate and palate. A generous grating of seasonal truffles or sautéed Hudson Valley Foie Gras elevates the culinary experience. Sides come ala-carte and are worth sharing. Old school cream corn or the Heart Stopping Potato Puree will make the meal complete. Always save room for dessert, especially the interactive crowd pleaser, the Fire & Ice banana split served tableside with plenty of fiery flare and gooey toppings. Complete your culinary journey through this new neighborhood of dining spots with a hand shaken or stirred cocktail from the roving classic cocktail cart. Scotch Prime 80 is the place that hopes to make you apart of the Palms dining community for years to come. James Beard Chef Opens at Nordstrom in Las Vegas In The Fashion Show Mall. Las Vegas is known for its world class restaurants and exquisite shopping venues. Nordstrom located in the Fashion Show Mall has added something special, very special for their guests and locals alike. Nordstrom has always had several dining options for their shoppers, giving them a nice break between floors of luxury accessories; this new dining venue elevates the guest experience. “Over time that has turned into destination operations with 255 restaurants across Nordstroms, with 21 unique concepts; we don’t take a cookie cutter approach to our venues. Chef Tom’s concept for Jeannie’s is producing pizza made with handcrafted dough, blistered, topped with fresh produce, artisan cheese and charcuterie. “We have a very thoughtful process about our pizza we have a multiday day aged dough, we cook the pies without the cheese and add that at the end and use the best cheeses that we can procure. We don’t herb our pizza until the end because after 175 degrees herbs lose their flavor,” said Douglas. The pizza boards were uniquely crafted with the help of a thermal energy company which lends in retaining the pizza’s crispness and flavors. “We are authentic in the best ingredients that we can give. We have caramelization on our vegetables, fresh vinaigrettes instead of packaged and our mac and cheese is stuffed with cauliflower,” continued Douglas. The menu plays up seasonally influenced appetizers, salads, pastas and warm sandwiches called "Toasties." What is a Toastie one may ask? It’s a toasted sandwich with grilled cheese, combining ingredients and flavors all held together with handmade focaccia. Jeannie’s full bar offers a plethora of delectable thirst quenching cocktails. And be sure to finish to your shopping and dining experience with an espresso or refreshing gelato. Your Vegas Nordstrom dining experience will have you healthily satiated and ready to resume exploring multiple floors of Nordstrom’s quality wares.